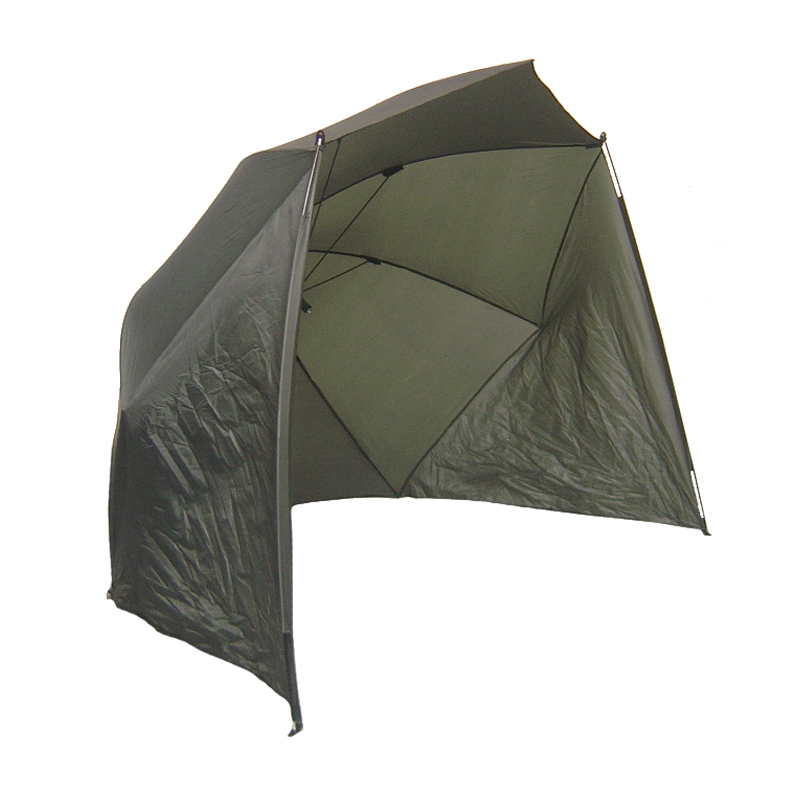 Here we have our innovative fishing umbrella with wind shelter. Relaxing on the riverbank, waiting for the fish to pounce on your bait, what better way to spend your time. Not so much fun if it starts to rain though. Yes, you could simply pack up and go home, but where’s the fun in that? You could tough it out, “a bit of water never hurt anyone”. Or you can sit there under your Cave Innovations Rob McAlister Ltd fishing umbrella with wind shelter, a big fishing umbrella, all nice and dry, just carry on regardless. 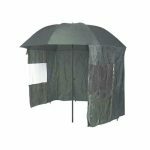 There are plenty of fishing umbrellas available, however we listened to our angling friends and set about designing something to meet their requirements. 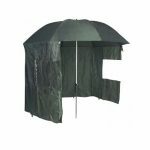 And here it is, the first fishing umbrella designed and brought to the market by Rob McAlister Ltd and the team at Cave Innovations. It’s BIG… Umbrella span is 190cms. Rib length 110cms. 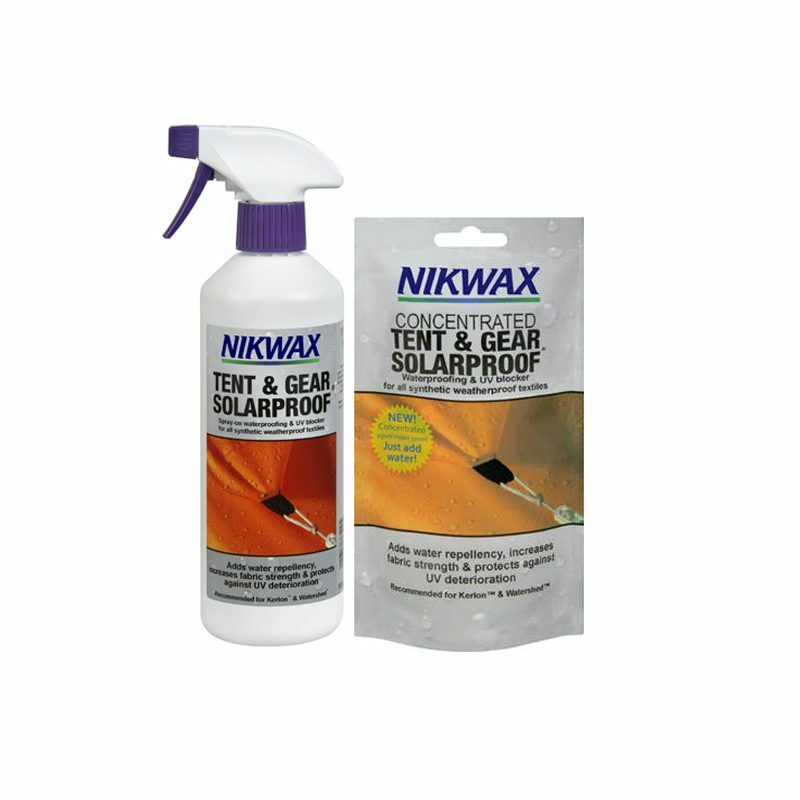 Does this product not tackle your fishing needs? Try reeling this one in! 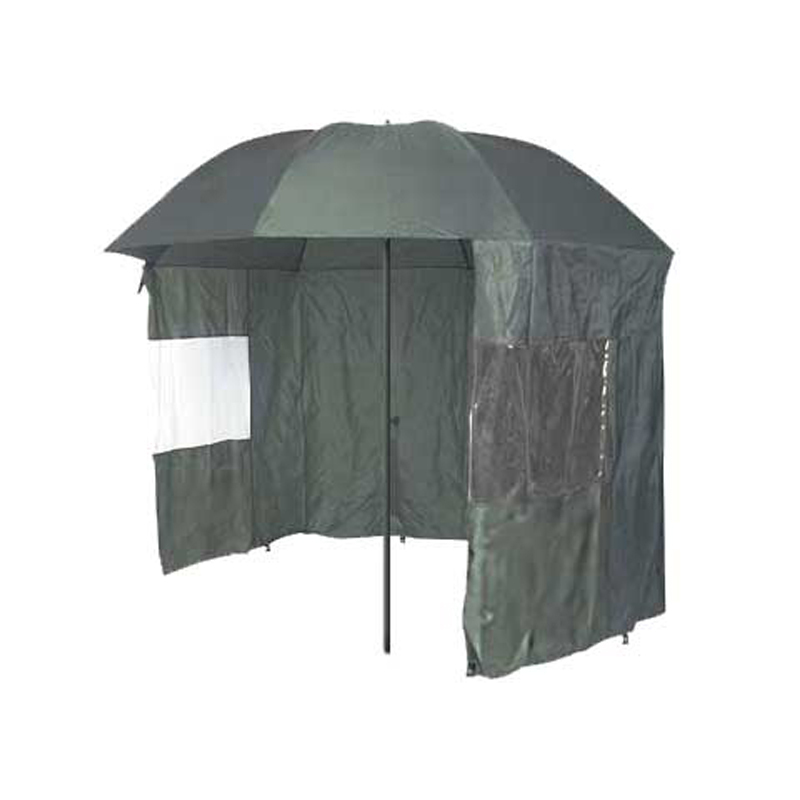 Fitted with a fully variable tilt canopy mechanism to provide maximum protection from rain and the sun (if we ever see it again). You can adjust and lock it at any angle from horizontal to 90º to the upright. Simply twist the shaft to loosen, set it to the perfect angle and twist it back up to tighten. •Maximum height around 2 metres (will depend on how far you push the spike into the ground…). 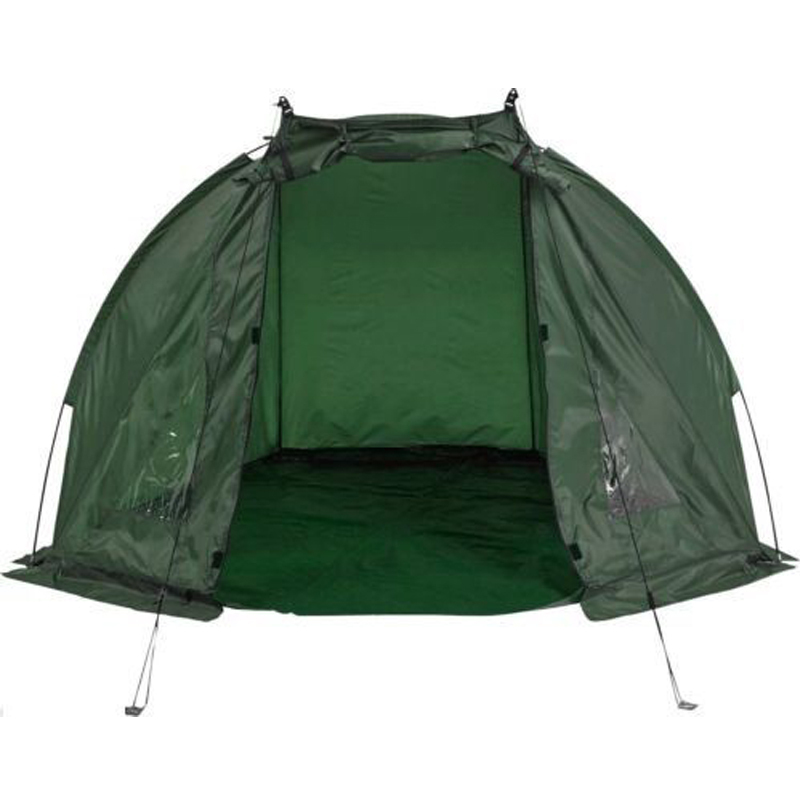 •The zip on/off sides/back panel is 138cms from the lower edge of the canopy to the ground. •Clear PVC window on either side. •Peg loops are double stitched and elasticated, designed so they will give, rather than break in strong gusts of wind. •Loops for guy lines (supplied) on 4 alternate umbrella ribs(spokes), plus one more at the very top of the umbrella. •Comes complete with 12 pegs and green carry bag. Closed length 120cms.